Would you like to become a mentor or a mentee? Satoshi, an experienced Risk Analyst, arrived in Ottawa from Japan in 2017. He completed his Bachelor of Arts in Economics from Carleton University. Satoshi was highly successful within his profession in Tokyo and was searching for ways to transfer his Japanese work experience to the Canadian labour market, and specifically potential employers within Ottawa. Satoshi joined OCISO Mentorship program in 2017 and was matched with Stephen Abraham, Chief Information Officer at Medical Council of Canada. 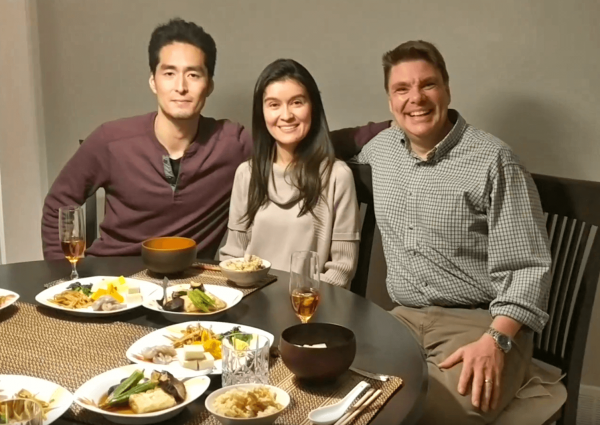 Stephen helped Satoshi develop his professional network through introductions to colleagues working in his field and helped him understand Canadian workplace culture. Over their mentorship sessions, Satoshi and Stephen developed mutual respect and friendship, which will continue. Satoshi shared: “I have received support in finding my job from several organizations. I thank all for their support but I have to give most credit to you – OCISO for the excellent mentorship program”. Click hear for info on OCISO’s Mentorship Program. OCISO’s Career Mentorship Program, established since 2004, supports Newcomers to secure employment in their profession. 65% of mentees exit to employment in their profession every year. Thank you for your support to OCISO, and for helping to make refugees and immigrants feel welcome here in Canada.